Caleb turned three this past Saturday. So, we took him to the one obvious store in town - Nakumatt (think Target or Walmart, where you can buy toast and a toaster oven and the countertop to put it on) - to pick out his birthday present. For weeks he had been excitedly talking about the “purple bike” that he wanted for his birthday. 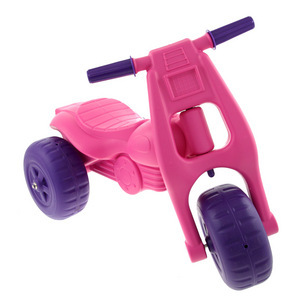 And by “purple” Caleb meant “pink,” and by “bike”, he meant 3 wheel plastic tricycle built with your 2 year old daughter in mind. Colin and I wanted to indulge the little guy (it is HIS birthday after all) and also to not betray our progressive openness to the non-gendered nature of all colors in the spectrum. But when he boarded his little princess bike in the Nakumatt we found ourselves, pushing him, like used car salespeople, in other directions. No dice. He wanted that pink bike. Lucky for us, toddlers are also easily distracted and fickle. The new guitar on aisle 8 caught his eye and he dragged us away from the whole mini car dealership area! He excitedly started strumming it, and we saw a glimmer of hope. “Yes Yes! I want the guitar” he said strumming it in his unique wrong handed wrong directional fashion (which is sure to catch on when he’s a bona fide rock star – Don’t you think Mama Hendrix witnessed a few smashed guitars when little Jimi was a toddler? These things start early!). P.S. He’s already written 2 songs: “I’m in Nairobi” and “I’m on a mountain.” Similar theme and almost identical tune, but when I try and sing them he insists I’m getting it wrong. So, there are probably subtly important differences… You can’t argue with genius. Oh, and just so you don't think all we did was take him to Kisumu's answer to Walmart for his big day... here are some pics from his birthday party on Sunday. It's not exactly the elaborate goat roast celebration we had for his 2 year birthday, but it did make us realize that we know more people in Kisumu than we thought. Mostly there were friends from work, neighbors and some new expat families we met once or twice. But just in case that's not enough, we played pin the tail on the punda (donkey). And a classic is new again! Turns out the kids could all see through my blindfold as evidenced by the fact that thy were all suspiciously close to the target. So, we got a better blindfold and the tails ended up all over the wall! Caleb stumbled to the wall to the point he nearly kissed it. But he must have thought that was pretty fun because he couldn't wait for another turn. I thought he already had a bike? Didn't Babu buy him one for Christmas? You sound like I sound if (god forbid) I'm shopping with Vicky. All of a sudden, her favorite colors are "pink, purple, and yellow," hair clips "look cute" (although she still won't keep them in her hair), and, I kid you not, she said "I don't like her shoes" about a picture of a random woman in a Clifford book. That comment alone almost had me dropping her off at a local garage so she could learn how to change the oil in our car.